Italy has been championing the supply of renewable energy to meet its power requirements for quite some time. This is for the benefit of its economy which suffers a great deal from relying on power imports due to its rare availability of fossil fuel. Also, the country has to comply with the EU regulation for green and renewable energy and now the much-touted Paris declaration. But Italy is lucky to have various power sources for its renewable energy solutions. Of all its power requirements, renewable energy supply comprises 51% with solar power being the biggest contributor; other sources of green energy include bioenergy, hydro energy, and geothermal energy. There are various initiatives in place which tries to encourage the use of renewable energy in Italy, for instance there exists various subsidies in various sectors among other initiatives. To promote geothermal, Italy has come up with one of the most fascinating way, a geothermal walk. The annual geothermal walk is held in Larderello in Tuscany. This event goes down in October attracting always attracting a sizeable crowd, and this year it saw close to 800 participants. On the offering were various activities which included trekking, nature walk, vintage cars, a display of renewable energy and for the attendees own energy good food was served. It all started in the morning with a walk dubbed Between Ground and Sky on the 4.5 km trail known as Geothermal and Steam. Here, participants’ dividend into several groups each taking an activity of their choice. Some of the most talked about scenarios is the beautiful Sasso Pisano at the Biancane Park from where the walkers were treated to the geothermal nature show which completed the breathtaking panoramic view. The presence of the “La Fumarola” Association in collaboration with the Volterra Tourist Consortium and boosted by tourist guides made the walk manageable, easy and enjoyable at the same time. Participants were passionately guided through the streets of geothermal of Tuscany. It could not have ended any better than with a plate of basil dressed in cheese and a couple of other specialties and downed with a keg of geothermal beer. The walk also took participants to the Cecina’s where beautiful vintage cars were on display including some three very magnificent Ferrari all this happening and displayed at what is known as the Garage of Time. Another point of interest was at the Enel Energiand Energy Efficiency Point where there were various illustrations on how to make a home with some of the most outstanding creative solutions. On display here were electric bicycles, LED lamps and photovoltaic. It was a day well spent which ended with a visit to the historic Roman Etruscan Baths of Bagnone. Among the dignitaries in attendance included Alberto Ferrini the Mayor of Castelnuovo Val di Cecina, Roberto Perugini who doubles as a great thinker at Marco Consortium of Institutional Affairs of Enel Centro Italia and Enel Energia. There were also representatives of the II Garage del Tempo, while Edo Volpi Renewable Energy Food Community sent their vice-president with Enel Green Power also being adequately represented by a number of its top technocrats including Sara Montomoli. The annual geothermal walk is a truly one of the other innovative ways of promoting renewable energy and in particular geothermal energy. The activities involved not only bring together various stakeholders but also helps to sensitize the communities on the need to adopt and options available for renewable energy. 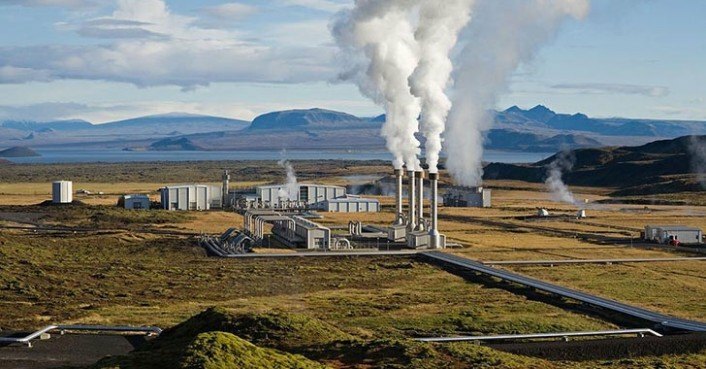 The event in Tuscany is, therefore, a very important platform for Italy to showcase its geothermal installations and also engage various players as they all forge ahead to position the country on top as a leading renewable energy source dependent. We try to answer one bold question, what can we do for Italy? And the answer comes from what we are passionate about, our environment and th erefore we have a unique attachment to our environment and we no doubt will forever commit to having it kept in its original state as much as it can be possible.